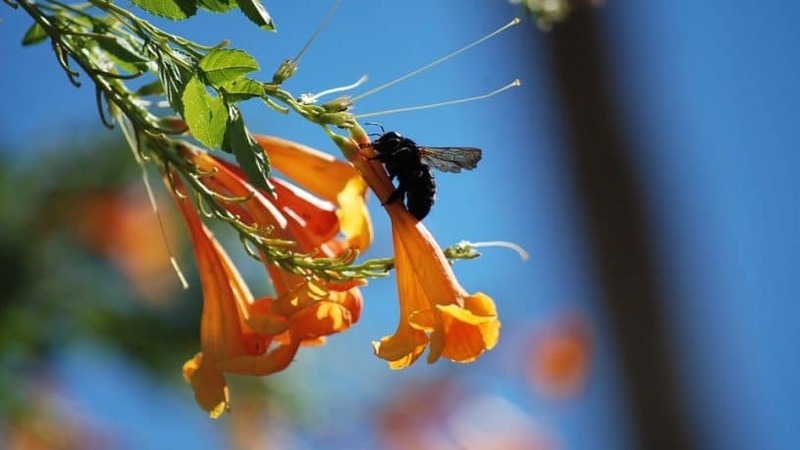 While the bumblebee is infamous for its hostile nature and sting, carpenter bees are sedated by nature. Carpenter bees are similar regarding body shape and color to bumble bees. In contrast to the male carpenter bee, which does not possess the ability to sting, the female can and will sting if provoked. Preferring to make their homes in sylvan settings they set up their nests by burrowing into the wood and making tunnels there. These bees are beneficial as they help in pollination of crops, plants and other flora. Therefore, let’s see how we can rid our homes and gardens of carpenter bees and keep them away. The bumblebee and carpenter bee differ in color. The Bumblebee has black and yellow strips, and the carpenter bee is black all over without hair. While the female carpenter bee can sting, the male does not. Bees do not usually attack unless they are provoked. The reality is that they do not pose much of threat to your health. Carpenter bees drill holes in wood to build their nests. It is usually only about half-inch. If you are looking around and notice small holes in the wood around your home or property, you might have carpenter bees. If you’re starting to notice a lot of sawdust around, this is another indicator of carpenter bees. If you don’t address the problem, it could become worse. When they continue making holes in the wood, it damages your property. 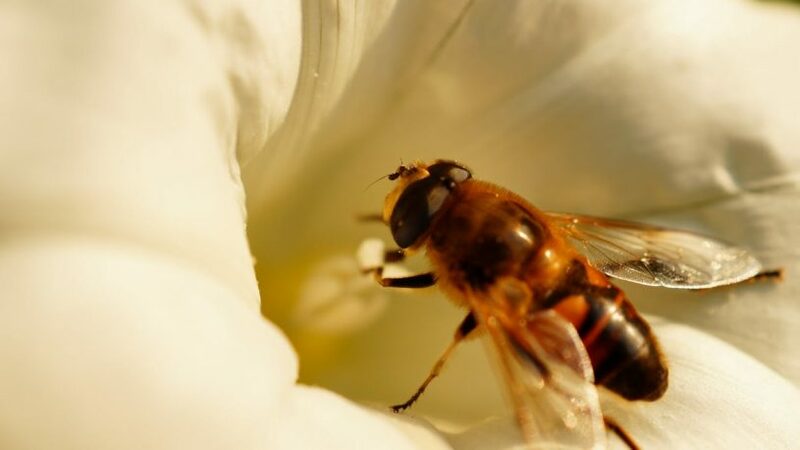 Buzzing sounds can come from any type of bee. In the case of the carpenter bee, these are the ones that you likely hear inside your home. The bumblebee isn’t usually found indoors. Unlike the bumblebee, the carpenter bee will come indoors during the colder months and leave once it starts to get warm outside again. Pesticides: Powdered products such as boric acid and carbaryl dust have proven the most effective form of pesticides for targeting and destroying nests. Petrol Spray: If you’re a DIY kind of person then merely spray petrol or diesel on the burrows. You can be sure that the carpenter bees will be exterminated instantly. However, be careful since both petrol and diesel are highly flammable, and avoid inhaling the fumes. Also, wear protective gear like goggles, gloves, and respirator to avoid exposure of skin, eyes, and lungs. You could also use an aerosol carburetor cleaner to spray the carpenter bees in their burrows. It’s a not so gentle an option, but very effective for exterminating them in their nest. Easily available at the auto supply or discount stores. These cleaners come with an extension tube from the can making the burrows uninhabitable. Here again, as with the use of petrol and diesel, you must be very careful and use adequate protection for face and lungs. Noise: Carpenter bees are very sensitive to sounds and vibrations of all kinds. Fixing a boom-box or a sound-box in the vicinity of their burrows can disperse them. With this method, you are free from any undesirable side-effects too. Swat them out: Carpenter bees are particularly active and appear in large numbers during the spring season when they lay eggs. During this time they look for places to nest, lay eggs and also deposit food (pollen) for their larva. You could always use a racquet to swat the bees while they hover around looking for potential nesting locations. If you are looking around and notice small holes in the wood around your home or property, you might have carpenter bees. Steel-Wool: Use steel-wool to stuff the burrows. Once you seal the burrow openings, it’s impossible for them to get in or out of their nests. 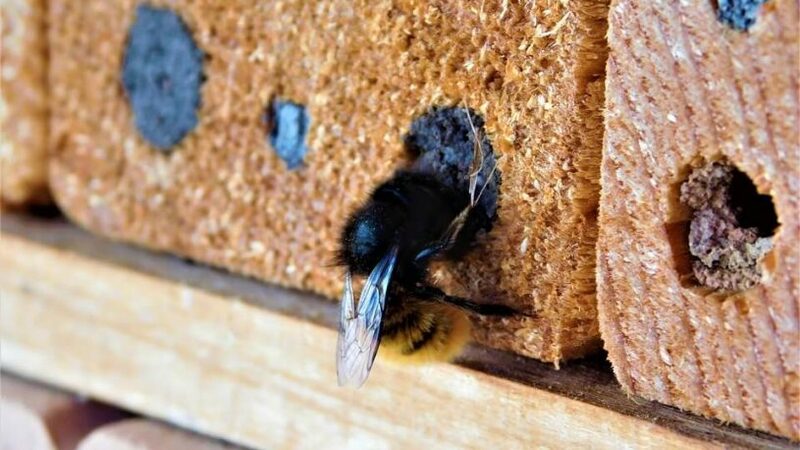 After the bees inside the burrows die, you could seal the openings with wood putty, and paint it with wood color to cover it up. Be Creative: Discourage a bee infestation with a bit of creativity. By painting or staining wooden surfaces you can create a treated wood surface finish which the bees are not attracted to. According to professional exterminators, this method is highly effective in discouraging them from targeting wooden surfaces in the household. Natural Sprays: Use natural sprays like citrus or tea tree oil on the affected areas. You can prepare non-synthetic concoctions at home. Cut the rinds of citrus fruit (like lemon, grapefruit, orange, tangerines, etc. ), boil them in water, and use the extract as a spray. Since these bees are naturally averse to citrus extracts, they’ll avoid such spots. Similarly, you could use almond extracts like the oil or essence to similar effect. The key is to break the reproduction cycle. Merely destroying the adult bees will not resolve the infestation problem. For complete freedom, it’s important to target the larva. That will put a stop to the reproduction cycle, and prevent future carpenter bees from being born. Are They Harmful to Humans? Although cicada killers look terrifying and are a threat to cicada bugs and sometimes other cicada killer wasps, they are usually harmless to people. 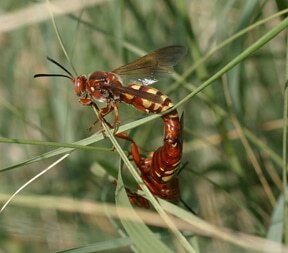 If you see an insect resembling a huge bee attacking a cicada, then you’ve most likely seen a cicada killer wasp. 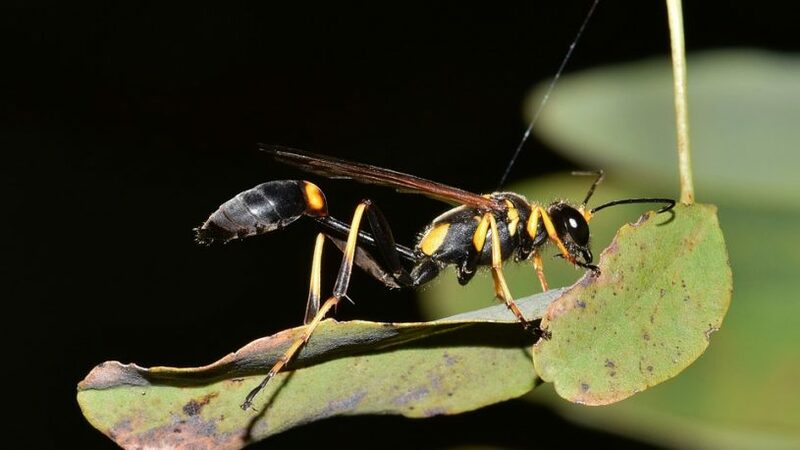 The wasp resembles a very large yellow jacket; its body is black with pale yellow stripes running across its abdomen. Its antenna and wings have a yellow tint. A male cicada killer dies a short moment after mating while a female will die once she has laid all her eggs. You are most likely to see cicada killers in early summer months. Cicada killers tend to burrow in areas surrounding forests, waste placed as well as gardens. They build their in places with adequate light, proper drainage, and light soil, especially close to trees where cicadas are mostly found. The pests appear in summer when weather conditions are favorable for mating. After mating, a female cicada killer burrows oval-shaped chambers in the soil where she lays her eggs. She will then look for cicada bugs on which she will lay her eggs, each egg per bug. When a female cicada killer finds a cicada, she stings and paralyzes it before taking it to the chambers that she had borrowed. Upon reaching the chamber, she places it somewhere inside it and lays an egg on the cicada bug and then goes outside again to look for another cicada bug. She will do this until she finds enough cicada bugs for hosting all her eggs. When a cicada killer egg hatches into larvae, the young cicada killer eats the cicada bug as it takes care to help it survive. Upon feeding to its fill, the larva forms a cocoon in the chamber and hibernates there until when spring comes. Upon the arrival of spring, the larva starts to make its way out of the tunnel as an adult wasp. 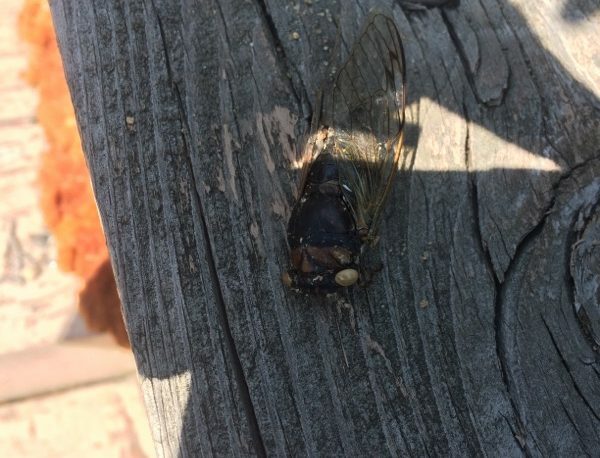 Are Cicada Killers Harmful to People? 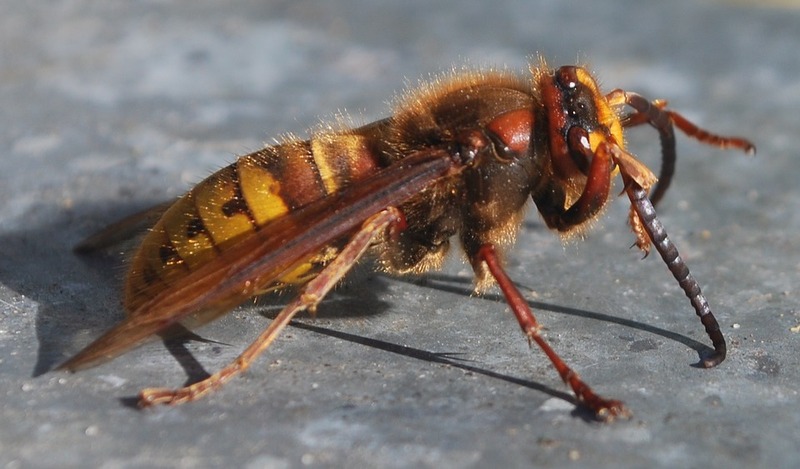 Although cicada killers look terrifying and are a threat to cicada bugs and sometimes other cicada killer wasps, they are usually harmless to people. Nevertheless, a cicada killer may not have the patience spare you its stinging wrath if you happen to squeeze it in your hands, step on it or annoy it. It is a female cicada killer that stings since a male doesn’t have a stinger. However, you should always play safe since you might not be in a position to establish if you are dealing with a male or a female. Avoid doing these to the insect and rest assured that it won’t harm you in any way. Besides, keep off from places with these insects lest they feel provoked and sting you. Although they are usually harmless to humans, cicada killers, especially the females are a nuisance when they invade an area near or inside your building since the tunnels they borrow can cause damage to your property. As mentioned earlier, cicada killers are attracted to places with conditions that favor their survival and breeding. The conditions include proper drainage, sunlight, ample cicada bugs as well as dirt. Therefore, the best way to keep the bug killers from coming to your place is to eliminate these conditions. Once they are absent, cicada killers will find no to reason to go there. Since cicada killers can sting when provoked, it is advisable to handle their elimination with utmost care and professionalism. Don’t worry if you don’t have the proper knowledge and skills needed to eradicate the bugs safely; a pest extermination expert from Control Exterminating can do it for you. While bees play a significant role as pollinators in the environment, we still don’t want them around our family members. Bee stings have often caused many people to rush to the hospital emergency. But, to get rid of these stinging pests, it is essential to know precisely which type of bees you are dealing with. Although there are around 4,000 different types of bees in America, we shall be discussing some of the more commonly found bees in NYC. 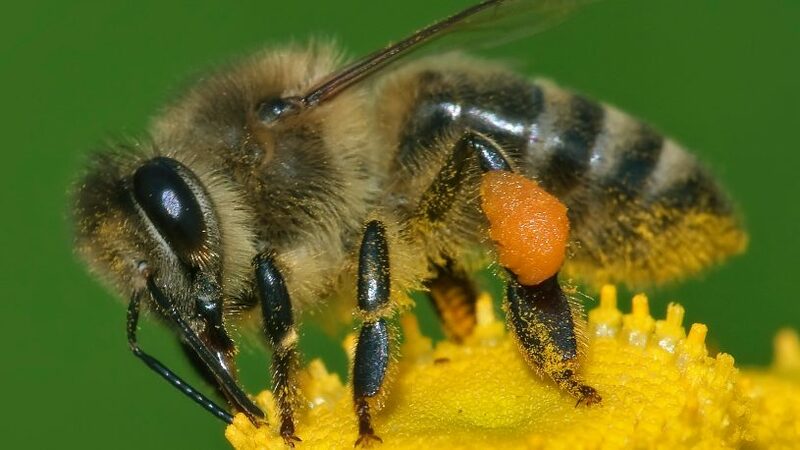 Honeybees are golden brown in color, and they have black abdominal stripes. They are not aggressive in nature. They attack only if you try to threaten their colony. If by chance, a honeybee stings you, it can do so only once. Their territories can be vast, so the honeybees nest removal is best left to a pest control professional. Bumblebees are a little larger than honeybees and have a black body covered with dense yellow and black hair. Bumblebees get their name from the noise that they make when they enter a flower. They live in large colonies. So, do bumble bees sting? Yes, but only if their nest is disturbed. Carpenter bees have a black body with thick yellow and black hair on their head and thorax. These bees are solitary insects and do not build nests. But they have a bad reputation as they make holes in wood to lay eggs and can cause serious damage to your homes if they are not eliminated. The only one that will sting is the female carpenter bee but the male carpenter bee doesn’t have this ability and is most often found boring into your NYC building wall outside…or inside. However, you don’t usually have to worry about either of them stinging you as they generally will not do this unless provoked. Although you may hear buzzing from other types of bees, the ones you hear inside your home are often carpenter bees home. This is also because the bumblebee is not often found indoors. It is the carpenter bee that will come inside during the colder weather. 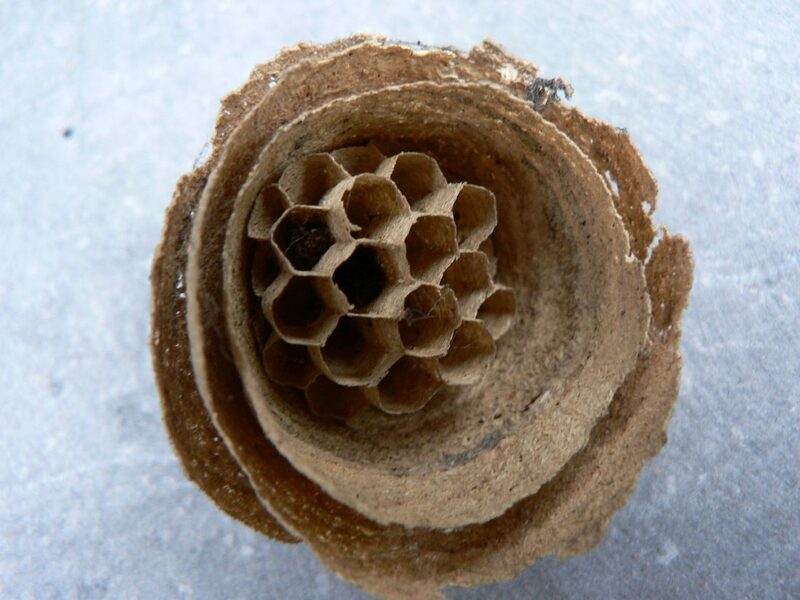 You will find holes in wood since this is where the carpenter bee goes to build their nests. It isn’t very big, just about a half an inch big. If you’re noticing these holes in the wood around your property, there is a good chance that you have carpenter bees. You may also notice sawdust lying around; this is another indicator. The holes they make in the wood can ruin your outdoor furnishings. Killer bees are about half-an-inch long and look a lot like honeybees. Though they are named killer bees, their venom is not very strong. 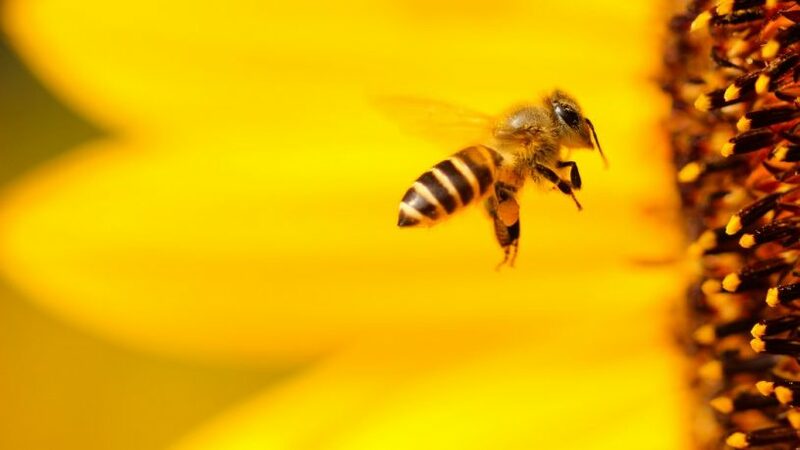 However, these bees tend to attack in large numbers, which can be dangerous, especially to those who are allergic to stings. The Paper Wasp is brownish in color with yellow or reddish marking. Their nests, which are umbrella-like in shape, are found hanging from twigs and branches of trees and shrubs. Their nests can also be found hanging from porch ceilings, door frames, deck floor joints, and railings. Though typically not very aggressive, you will evidently get stung if you touch their nest. Mostly black, with a white face, these hornets are considered a beneficial insect because they control many pest insect species. They build their nests on trees, utility poles, overhangs or other structures. These wasps are long and slender and usually black in color. They are solitary wasps, and they typically do not live in colonies. They construct tube-like nests made of mud. They are beneficial insects as they control spiders. But if their nest is near a structure, it needs to be removed. 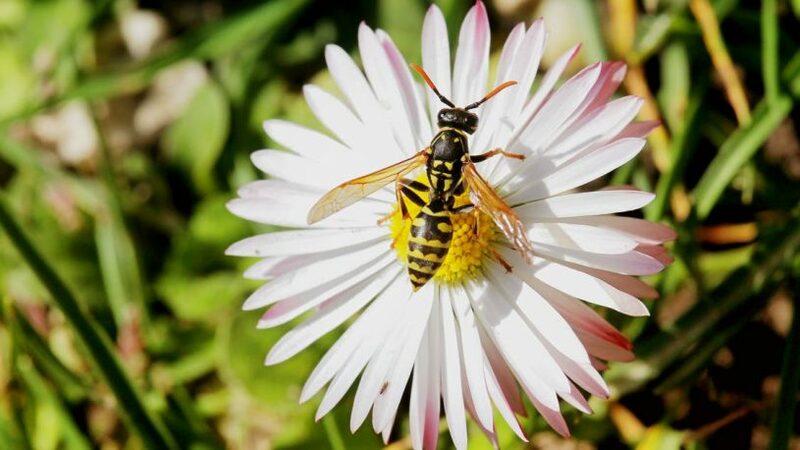 Yellowjackets are less than an inch in size and have a yellow and black color pattern. Their nests are made of paper carton, which can grow to the size of a basketball. 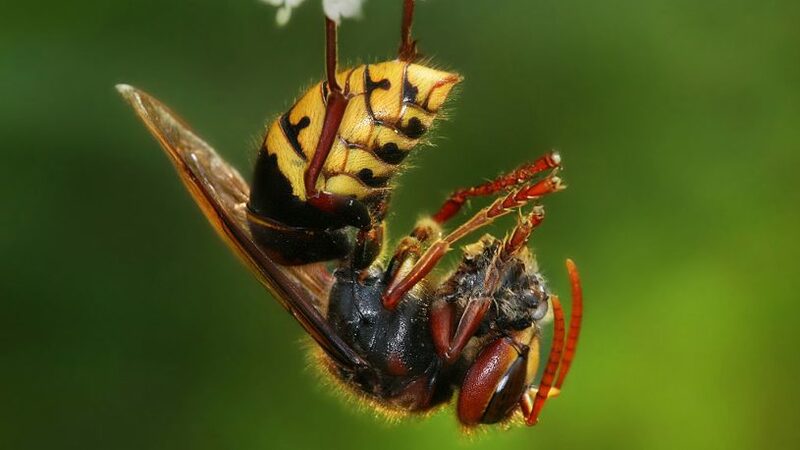 Yellowjackets do not sting unless their nests are threatened. However, one must be careful if their nest is located near a structure. It is always better to remove a wasp’s nest as soon as possible. 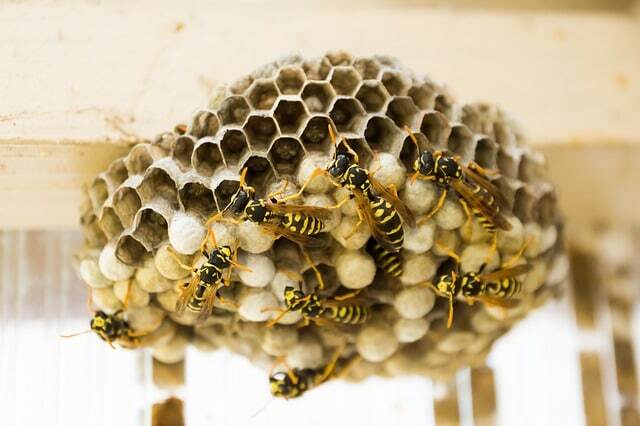 When the nest is small, and only a few wasps are present, it is easier to knock it down. However, when the nest gets too big, it is always advisable to get professional help.